They've been taking a well-earned summer break from their early morning ITV chat show. And Good Morning Britain fans were overjoyed to see their favourite presenting duo, Piers Morgan and Susanna Reid, return and get back to doing what they do best. The presenters put on a lively show for viewers as they debated Cosmopolitan's front cover featuring plus-size model Tess Holliday. 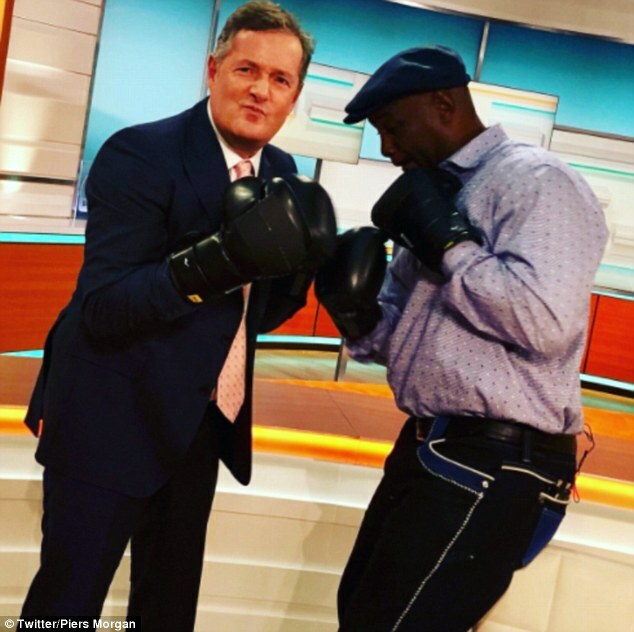 While Piers, 53, even jokingly did some boxing with former professional boxer, Lennox Lewis. Taking to Twitter, viewers shared their joy over the presenting duo returning, as they joked 'all is well again'. 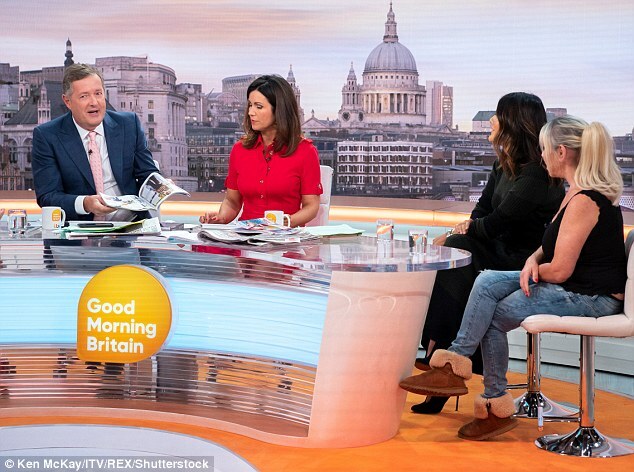 With Piers' return to Good Morning Britain, several show watchers demanded that the tough presenter grills Celebrity Big Brother's Roxanne Pallett over her 'punch' row with Ryan Thomas. The former Emmerdale star, 35, appeared on Jeremy Vine's Channel 5 show on Monday to discuss the incident and apologise to the Coronation Street actor, 34. 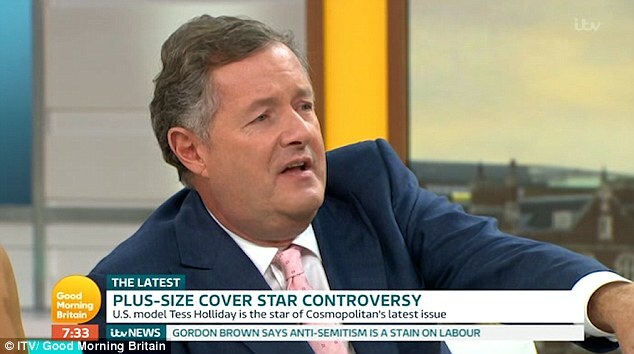 Yet GMB fans want Piers to interview Roxanne over the uproar and even took to Twitter to beg the television presenter. Roxanne faced severe backlash after accusing Ryan of 'punching' her on Thursday's explosive episode. The actress' claim after a play fight with the Coronation Street actor left him in tears as he feared for his career and admitted he was a 'broken' man, especially as the duo have had a long ongoing feud for years. The actress claimed on the show that Ryan had intentionally tried to hurt her, labelling him a 'woman beater'. At the time, she walked off chuckling, but later looked upset and asked Big Brother to get her a producer for an off-screen chat about the incident, before demanding that her fellow soap star be kicked off the programme and she sleep in a separate room. 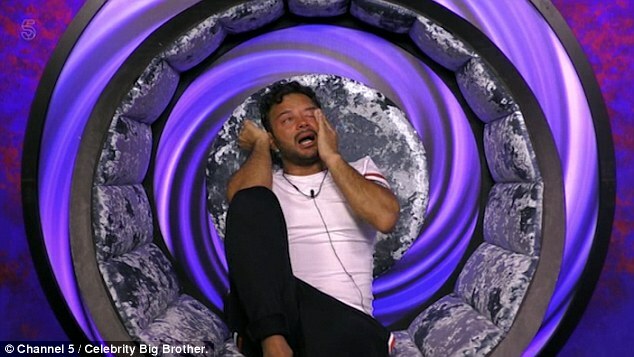 Viewers were left enraged over the incident, especially as Roxanne decided to leave the house when her fellow contestants called her out and she heard fans shout 'get Roxy out' during Friday's live eviction show.